Everyone is doing welcome bags, so why don’t you also do thanks for coming bags! That will really blow people away! We distributed these at my wedding and our guests were really appreciative, especially the ones that had early flights and didn’t have time to grab something to eat before heading to the airport. 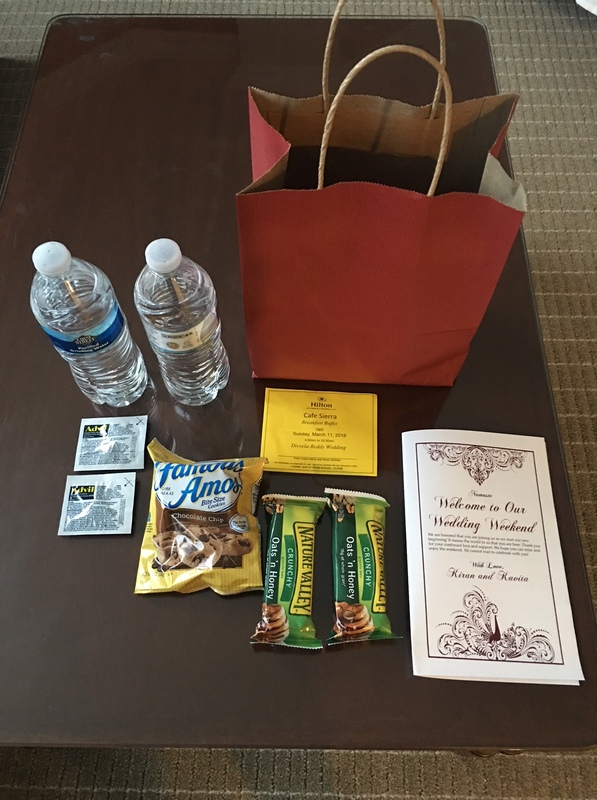 I recently went to a wedding where they included Advil in the welcome bag which was a really smart idea. Not everyone can take Advil (Ibuprofin, Motrin) though, as it contains a blood thinner. So you might want to opt for Tylenol instead. At one wedding I went to, after lunch, about an hour before cocktail hour, the bride and groom had small bottles of Absolut delivered to everyone’s hotel room. Send out a mass Thanks for coming text message the next morning. Use software like Twilio to do this. And if you’re not a developer/programmer, well we’re Indian you must know someone who could help you with this. At my wedding we wrote personalized notes for every single guest that attended. They were little business card sized, in envelopes that were hung like ornaments from our tree centerpieces. During the reception, my sister announced the cards and people loved it! Yes, this took a long time but it was worth it as our guests were really touched. 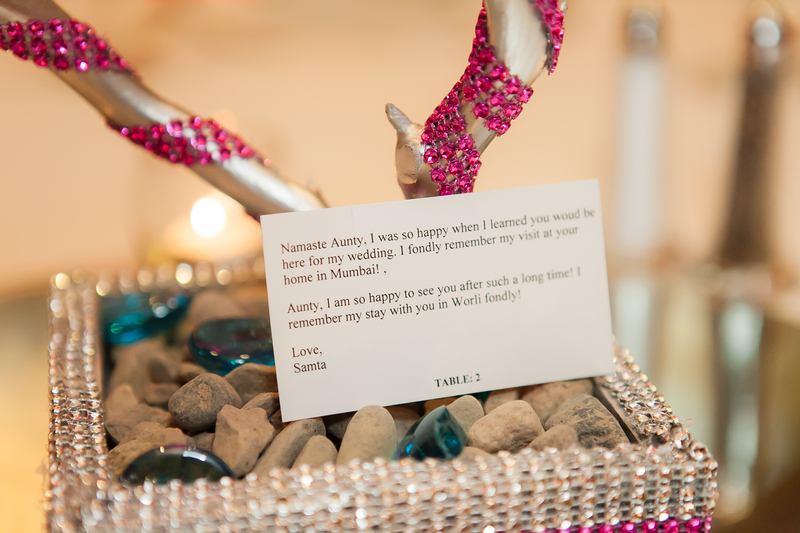 We included specific childhood memories to uncles and aunties, inside jokes with friends etc. This wedding was so cool! They setup lifesize versions of popular games fi guests to enjoy in-between the wedding and reception. 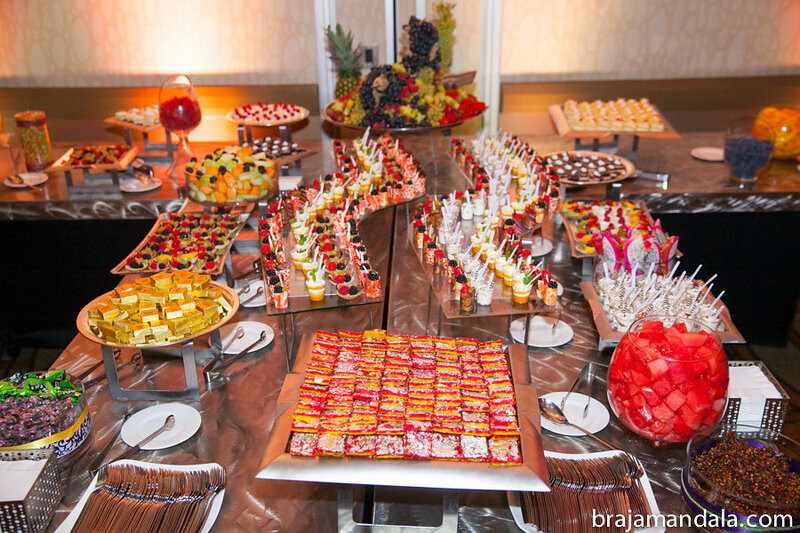 Lots of weddings have a dessert bar and they never get old, because they’re beautiful and delicious! These can get very expensive, that’s why we added this option last. Whereas the other ideas are less costly but more time consuming. 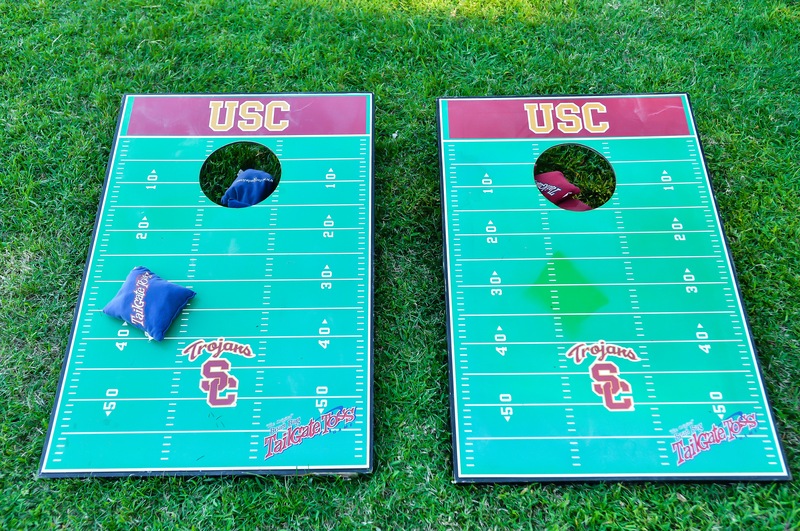 With a little thought, creativity and putting yourself in your guest’s shoes you can make seemingly small gestures that have a big impact on your wedding guests. More than decor, people will remember how you made them feel welcome and the experience you created for them at your big Indian wedding. Some of the ideas are pricey. Some are time consuming. We wanted to include a range of ideas because you know what you’re optimizing for in the tradeoff between time vs. money. I hope these ideas also spark some fresh creative ideas for you as well! 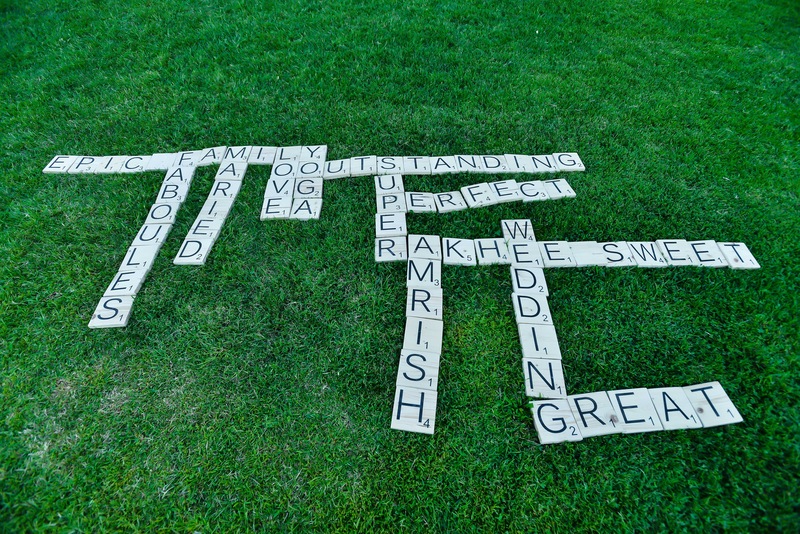 Have you seen something at a wedding that really “wow’d” you? Let us know in the comments and we might add it to the article! Previous Previous post: Having a $100K; 350-guest Indian Wedding? Things For You To Know.